Most of what we believe about hell comes from Catholicism and ignorance of the Old Testament, not from the Bible. This study will cause you to re-examine current teaching on hell and urge you to further study on what happens to the wicked after death. Chapter 11 from the book The Teaching of Jesus: From Mount Sinai to Gehenna: A Faithful Rabbi Urgently Warns Rebellious Israel. See Rights Notice below. to scare people into obedience?" I was righteously indignant when, a number of years ago, a caller uttered these words on a call-in radio show I was conducting. Perturbed by his haphazard use of Scripture, I pointed out to him and the audience, that hell couldn't possibly be something invented by Catholic theologians because Jesus talked about it. I forcefully read some of the passages where Jesus did, and concluded that hell couldn't possibly be the invention of an apostate church. I now believe that hell is the invention of Roman Catholicism; and surprisingly, most, if not all, of our popular concepts of hell can be found in the writings of Roman Catholic writers like the Italian poet Dante Alighieri (1265-1321), author of Dante's Inferno. The English poet John Milton (1608-1674), author of Paradise Lost, set forth the same concepts in a fashion highly acceptable to the Roman Catholic faith. Yet none of our concepts of hell can be found in the teaching of Jesus Christ! We get indignant at the mention of purgatory-we know that's not in the Bible. We may also find that our popular concepts of hell came from the same place that purgatory did-Roman Catholicism. The purpose of this study is to briefly analyze Jesus' teaching on hell (more correctly Gehenna, the Greek word for which hell is given), to see whether these popular concepts are grounded therein. Try your own selves, whether ye are in the faith; prove your own selves. …for ye were once darkness, but are now light in the Lord, walk as children of light…proving what is well-pleasing unto the Lord. In New Testament times, one was only a disciple of Christ when he was willing to examine himself, his beliefs, and everything proposed for his belief as a child of light. Nothing less is required now. We first begin by eliminating the problem the King James Version of the Bible introduced to this study by indiscriminately translating three different words in the Bible as hell: sheol, hades, and Gehenna. In the Old Testament, the word for which hell is given in the King James Version is sheol, a word whose root meaning is “unseen.” The King James Version translates sheol as “hell” 31 times, “the grave” 31 times (since someone in the grave is unseen), and “the pit” three times. Yet in the Old Testament sheol was not exclusively a place of punishment, for faithful Jacob was there (Gen. 37.35, 42.38, 44.29, 31). Righteous Job also longed for it in Job 14.13. David spoke of going to sheol in Ps. 49.15 and Jesus went there, Ps. 16.10 and Acts 2.24-31. In all these cases, these men were “unseen” because they were dead. Many times the Bible uses the word sheol of national judgments, i.e., the vanishing of a nation. In Isa. 14.13, 15, Isaiah said Babylon would go to sheol, and she vanished. In Ezek. 26.19-21, Tyre so vanished in sheol. Likewise, in the New Testament, in Mt. 11.23, 12.41, Lk. 10.15, and 11.29-32, Jesus said that Capernaum would so disappear. These nations and cities didn't go to a particular location, but they were going to disappear, and they did. They were destroyed. Thus, sheol is used commonly of national judgments in both the Old and New Testaments. The New Testament equivalent of sheol is hades, which occurs only eleven times. Like its synonym sheol, the King James Version translates the word “hell.” However, the correct translation is hades, or the unseen. The Bible doesn't use hades exclusively for a place of punishment. Luke 16 pictures righteous Lazarus there. Acts 2.27, 31 says Jesus went there. In I Cor. 15.15, Paul used the same word when he said, “Death, where is thy sting?” In Rev. 1.18, Jesus said he had the controlling keys of death and hades, the unseen, and in Rev. 6.8, death and hades followed the pale horse. Finally, in Rev. 20.13, 14, death and hades gave up the dead that were in them, and were then cast into the lake of fire. These verses illustrate that hades refers to anything that is unseen. Like its companion word in the Old Testament, hades was also plainly used of national judgments in the New Testament. In Mt. 11.23 and Lk. 10.15, Jesus said Capernaum would go down into hades, i.e., it was going to vanish. In Mt. 12.41 and Lk. 11.29-32, Jesus said his generation of Jews was going to fall. We need to make sure that our ideas concerning hades come from the Bible and not Greek mythology. We have no problem using sheol the way the Old Testament used it, or hades, as the New Testament used it. Both refer to the dead who are unseen, and to national judgments. Ye have heard that it was said to them of old time, Thou shalt not kill; and whosoever shall kill shall be in danger of the judgment: but I say unto you, that every one who is angry with his brother shall be in danger of the judgment; and whosoever shall say to his brother, Raca, shall be in danger of the council; and whosoever shall say, Thou fool, shall be in danger of the hell (Gehenna--SGD) of fire. When Jesus used the term “hell of fire” in these verses, he actually used the Greek word Gehenna for the first time in inspired writing. We want to begin with this first occurrence of Gehenna and then study all of its occurrences in the New Testament. In this way, we can determine the totality of the Bible's teaching on what is now commonly called hell. I indeed baptize you in water unto repentance: but he that cometh after me is mightier than I, whose shoes I am not worthy to bear: he shall baptize you in the Holy Spirit and in fire: whose fan is in his hand, and he will thoroughly cleanse his threshing-floor; and he will gather his wheat into the garner, but the chaff he will burn up with unquenchable fire. Remember this “unquenchable fire.” It will figure in our study throughout. It is the fire spoken of by Malachi, John, and Jesus. Gehenna, the word hell is given for in the New Testament, is rooted in an Old Testament location. It is generally regarded as derived from a valley nearby Jerusalem that originally belonged to a man named Hinnom. Scholars say the word is a transliteration of the Valley of the Sons of Hinnom, a valley that had a long history in the Old Testament, all of it bad. Hence, Gehenna is a proper name like the Rio Grande Valley of Texas and New Mexico. This being true, the word should never have been translated “hell,” for as we'll see, the two words have nothing in common. Therefore, behold, the days come, saith the Lord, that it shall no more be called Tophet, nor the valley of the son of Hinnom, but the valley of slaughter; for they shall burn in Tophet, till there be no peace. Gehenna, the name of a valley on the S. and E. of Jerusalem...which was so called from the cries of the little children who were thrown into the fiery arms of Moloch, i.e., of an idol having the form of a bull. The Jews so abhorred the place after these horrible sacrifices had been abolished by king Josiah (2 Kings xxiii.10), that they cast into it not only all manner of refuse, but even the dead bodies of animals and of unburied criminals who had been executed. And since fires were always needed to consume the dead bodies, that the air might not become tainted by the putrefaction, it came to pass that the place was called Gehenna. Actually, since Gehenna was a proper name of a valley, it would have been called Gehenna whether or not any idolatry, burning, or dumping of garbage had ever occurred there, and it did, as we now see. Ye have heard that it was said to them of old time, Thou shalt not kill; and whosoever shall kill shall be in danger of the judgment: but I say unto you, that every one who is angry with his brother shall be in danger of the judgment, and whosoever shall say, Thou fool, shall be in danger of the hell of fire (Gehenna--SGD). As we mentioned earlier in this study, Jesus actually used the Greek word Gehenna for the first time in inspired writing. The word had never occurred in the Greek Old Testament, the Septuagint. When we read the word hell, all kinds of sermon outlines, illustrations, and ideas come to the fore of our minds. None of these came to the minds of Jesus' listeners, for they had never heard the word before in inspired speech. It is very significant that the word did not occur even once in the Septuagint, quoted by Jesus and his apostles. I suggest that to the Jews in Jesus' audience, Jesus' words referred merely to the valley southeast of Jerusalem. In their Old Testament background, Gehenna meant a place of burning, a valley where rebellious Jews had been slaughtered before and would be again if they didn't repent, as Malachi, John the Baptist, and Jesus urged them to do. Jesus didn't have to say what Gehenna was, as it was a well-known place to the people of that area, but his teaching was at least consistent with the national judgment announced by Malachi and John the Baptist. The closest fire in the context is Mt. 3.10-12, where John announced imminent fiery judgment on the nation of Israel. Let's notice the other Gehenna passages to ascertain more about Jesus' use of Gehenna. As we do so, let's analyze each passage thus: Does the passage teach things we don't believe about an unending fiery hell, but which fit national judgment in Gehenna? And if thy right eye causeth thee to stumble, pluck it out, and cast it from thee: for it is profitable for thee that one of thy members should perish, and not thy whole body go into hell (Gehenna--SGD). And if thy right hand causeth thee to stumble, cut it off, and cast it from thee: for it is profitable for thee that one of thy members should perish, and not thy whole body go into hell (Gehenna--SGD). In our traditional idea of hell, unending fire after the end of time, we normally don't think of people having their physical limbs at that time. This is not an argument, but just the realization that we don't think in terms of some people being in heaven with missing eyes and limbs, and some in hell with all of theirs. However, these words do fit a national judgment. It would be better to go into the kingdom of the Messiah missing some members, than to go into an imminent national judgment of unquenchable fire with all our members. This was equivalent to John's demand that his Jewish audience bring forth fruits worthy of repentance or receive imminent unquenchable fire. The whole body of a Jew could be cast into the valley of Gehenna in the fiery judgment of which John spoke. And be not afraid of them that kill the body, but are not able to kill the soul: but rather fear him who is able to destroy both soul and body in hell (Gehenna--SGD). Again, Jesus spoke of Gehenna consistently with imminent national judgment on Israel. The whole body of a Jew would be cast into the imminent fiery national judgment of which John spoke. And I say unto you my friends, Be not afraid of them that kill the body, and after that have no more that they can do. But I will warn you whom ye shall fear: Fear him, who after he hath killed, hath power to cast into hell (Gehenna-SGD): yea, I say unto you, Fear him. Here Jesus taught the same thing John taught in Mt. 3.10-12, that only a divine being has the power to cast someone into unquenchable fire. A human can kill you. A divine being can imminently bring an unstoppable national judgment in which a divinely ordained religion would be brought to an end. Notice also that Jesus said that one would be cast into Gehenna after he has been killed (Lk. 12.4-5) and that God can destroy both the soul and body in Gehenna. I came to cast fire upon the earth; and what do I desire, if it is already kindled? Ye hypocrites, ye know how to interpret the face of the earth and the heaven; but how is it that ye know not how to interpret this time? This is the word used in Mt. 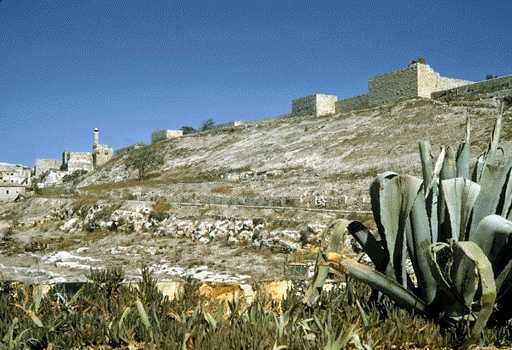 2.6 (the land of Judea), Mt. 2.20 (the land of Israel), Mt. 10.15 (the land of Sodom and Gomorrah), Mt. 11.24 (the land of Sodom), Mt. 14.34 (the land of Gennesaret), Jn. 3.22 (the land of Judea), Ac. 7.3 (into the land which I shall show thee), Ac. 7.6 (seed should sojourn in a strange land), Ac. 7.11 (a dearth over all the land of Egypt), etc. Thus, Jesus again spoke of imminent fiery destruction on the land of Israel, just as Malachi and John the Baptist said he would announce. And if thy hand cause thee to stumble, cut it off: it is good for thee to enter into life maimed, rather than having thy two hands to go into hell, into the unquenchable fire [emphasis mine-SGD]. Hear the word of the Lord: Thus says the Lord God, Behold, I am about to kindle a fire in you, and it shall consume every green tree in you, as well as every dry tree; the blazing flame will not be quenched, and the whole surface from south to north will be burned by it. And all flesh will see that I, the Lord, have kindled it; it shall not be quenched. Of course, Babylon fulfilled these words in the destruction of Jerusalem in 586 B.C. when the Jews were carried off into captivity. The fire was not quenched, but Jerusalem didn't burn unendingly from 586 B.C. on. Seek the Lord that you may live, lest He break forth like a fire, O house of Joseph, and it consume with none to quench it for Bethel. The unquenchable fire which consumed Israel was unstoppable, but no one believes it's still burning unendingly. Thus, when Jesus spoke of unquenchable fire in Mk. 9.43, he used language that his Jewish listeners would associate with the national judgments God had brought on nations in the Old Testament. In fact, they had never heard such language used any other way! Of course, we have, but not from the teaching of the Bible. Woe unto you, scribes and Pharisees, hypocrites! for ye compass sea and land to make one proselyte; and when he is become so, ye make him twofold more a son of hell (Gehenna-SGD) than yourselves. These Jews knew what Gehenna was, and Jesus and John had foretold the unquenchable fiery judgment awaiting them there. He told these Jews that they were headed for it, and the people they taught were as well. It is the same national judgment he's been speaking of thus far. Ye serpents, ye offspring of vipers, how shall ye escape the judgment of hell (Gehenna-SGD)? Thus, Jesus gave the time element when this fiery destruction on the land would be carried out: in that generation, i.e., in the time of his dealing with the then present generation of Jews. To sum up, Jesus threatened the Jews in the environs of Jerusalem that they were headed for the valley named Gehenna where there would be unquenchable fire (Mk. 9.43) upon his generation (Mt. 23.36) in his generation (Mt. 24.34), when God destroys the souls of those of Jesus' generation after killing their bodies (Lk. 12.5, Mt. 10.28). We cannot make it more precise! Gehenna is where Jesus said Jerusalem would end up after its unstoppable fiery destruction in 70 A.D.
And the tongue is a fire: the world of iniquity among our members is the tongue, which defileth the whole body, and setteth on fire the wheel of nature, and is set on fire by hell (Gehenna--SGD). Therewith bless we the Lord and Father; and therewith curse we men, who are made after the likeness of God: out of the same mouth cometh forth blessing and cursing. Thus, the last time Gehenna occurred in the Bible, it taught the same thing it taught in the first. The Jew of Jesus' day who abused his brother with his tongue was in danger of imminent, fiery, national destruction. He was headed for unquenchable fire on his generation, in his generation. So it will be with the soul in Hell; it will have no strength or power to deliver itself; and its torment and horror will be so great, so mighty, so vastly disproportioned to its strength, that having no strength in the least to support itself, although it be infinitely contrary to the nature and inclination of the soul utterly to sink; yet it will sink, it will utterly and totally sink, without the least degree of remaining comfort, or strength, or courage, or hope. And though it will never be annihilated, its being and perception will never be abolished: yet such will be the infinite depth of gloominess that it will sink into, that it will be in a state of death, eternal death…. Did all that preaching come from the twelve Gehenna passages we've just analyzed? Did any of it? We can find none of this language of red-hot floors, dungeons, red-hot ovens, vessels of hot oil, being able to see the throne of God, brick-kilns, torture racks, chains, or great furnaces anywhere in these twelve passages that deal with the subject of Gehenna in the Bible. However, they are easily found in Milton's Paradise Lost and Dante's Inferno. The reader may wonder, “Well, if Jesus didn't teach that the wicked presently living will finally go to hell, then what did he teach about the final destiny of the wicked?” First, we don't have to know the answer to that question to know that traditional teaching on hell is Biblically bankrupt. Second, Jesus didn't teach anything about the final destiny of the wicked, that is, at the end of time. If we're tempted to use the account of the rich man and Lazarus (Luke 16), let's recall that in this account, Lazarus, the rich man, and Abraham were all in hades (they couldn't be seen), and the passage doesn't address what happens after the end of time at all. Whatever the passage teaches, it doesn't deal with the final destiny of the wicked. Now we want to notice other expressions of fiery judgment which we traditionally use to describe hell. These include fire burning to sheol, the worm dying not, unquenchable fire, fire that is not quenched, everlasting fire, weeping and gnashing of teeth, gnashing of teeth, fire and brimstone, rising smoke, no rest day or night, being cast into fire, and melting. Now I will arise, says the Lord, now I will be exalted, now I will be lifted up. You have conceived chaff, you will give birth to stubble; my breath will consume you like a fire, and the peoples will be burned to lime, like cut thorns which are burned in the fire....Who among us can live with the consuming fire? Who among us can live with continual burning? If a man abide not in me, he is cast forth as a branch, and is withered; and they gather them, and cast them into the fire, and they are burned. I kept looking until thrones were set up, and the Ancient of Days took His seat; His vesture was like white snow and the hair of His head like pure wool. His throne was ablaze with flames, Its wheels were a burning fire. A river of fire was flowing and coming out from before Him; Thousands upon thousands were attending Him, and myriads upon myriads were standing before Him; The court sat, and the books were opened. Then I kept looking because of the sound of the boasting words which the horn was speaking: I kept looking until the beast was slain, and its body was destroyed and given to the burning fire. And I saw a great white throne, and him that sat upon it, from whose face the earth and the heaven fled away; and there was found no place for them. And I saw the dead, the great and the small, standing before the throne; and books were opened: and another book was opened, which is the book of life; and the dead were judged out of the things which were written in the books, according to their works. And the sea gave up the dead that were in it; and death and Hades gave up the dead that were in them: and they were judged every man according to their works. And death and Hades were cast into the lake of fire. And if any was not found written in the book of life, he was cast into the lake of fire. Both of these scenes depict national judgments against a nation persecuting God's saints, both have judgment scenes, both have people judged out of things written in the books, and both have those not pleasing God in the judgment being cast into a river or lake of fire. This national judgment goes with John's expressions of imminence in Rev. 1.3 (“the time is at hand”), Rev. 22.6 (“things which must shortly come to pass”), and Rev. 22.10 (“Seal not up the words of the prophecy of this book: for the time is at hand”). Those who take the early date of Revelation (A.D. 67) believe these words refer to the destruction of Jerusalem, while those who take the later date for Revelation (A.D. 90-96) believe these words refer to the destruction of the Roman Empire. Whether they refer to Jerusalem or the Roman empire, they refer to a national judgment. This language described national judgment that caused a nation to vanish. Then they shall go forth and look on the corpses of the men who have transgressed against Me. For their worm shall not die, and their fire shall not be quenched; and they shall be an abhorrence to all mankind. It is good for thee to enter into the kingdom of God with one eye, rather than having two eyes to be cast into hell; where their worm dieth not, and the fire is not quenched. When Jesus spoke these words, the Bible had never used such language of anything but a national judgment. For behold, the Lord will come in fire, and His chariots like the whirlwind, to render His anger with fury, and His rebuke with flames of fire. For the Lord will execute judgment by fire, and by His sword on all flesh. And those slain by the Lord will be many....Then they shall go forth and look on the corpses of the men who have transgressed against Me. For their worm shall not die, and their fire shall not be quenched; and they shall be an abhorrence to all mankind. For I have set My face against this city for harm and not for good, declares the Lord. It will be given into the hand of the king of Babylon, and he will burn it with fire. Then say to the household of the king of Judah, Hear the word of the Lord, O house of David, thus says the Lord: Administer justice every morning; and deliver the person who has been robbed from the power of the oppressor. That My wrath may not go forth like fire and burn with none to extinguish it, because of the evil of their deeds. Again, at the time John the Baptist and Jesus used this language in the gospels, the Bible had only used it of national judgments. The same thing is true of this expression. In Jer. 4.4, Jeremiah used it of the destruction of Jerusalem. In Jer. 21.12, he used it to describe the destruction of the house of David. In Amos 5.5, 6, Amos used it of the destruction of Jerusalem. In II K. 22.17, it's used of the destruction of Judah. In Isa. 34.10, Isaiah used it of the destruction of Edom, and in Isa. 66.24, he used it of the destruction of the enemies of the Messiah's people. See also Jer. 7.20, 17.27, where Jeremiah used it of the destruction of Judah, and Ezk. 20.47-48, where Ezekiel spoke of God's destruction of Jerusalem. These words are so often thought of as applying to people suffering unending conscious torment in hell, that it will surprise many to find that the Old Testament used this language exclusively of national judgments. Therefore in that day the Lord God of hosts, called you to weeping, to wailing, to shaving the head, and to wearing sackcloth. Come now, ye rich, weep and howl for your miseries that are coming upon you. Your riches are corrupted, and your garments are moth-eaten. The wicked man will see and be vexed, he will gnash his teeth and waste away: the longing of the wicked will come to nothing. Thus, when Jesus and John the Baptist issued their warnings of the impending destruction of Jerusalem, they used language that the Old Testament had only used of national destruction. And its streams shall be turned into pitch, and its loose earth into brimstone, and its land shall become burning pitch. For Topheth [the place of human sacrifice to Molech, an Assyrian god--SGD] has long been ready, indeed, it has been prepared for the king. He has made it deep and large, a pyre of fire with plenty of wood; the breath of the Lord, like a torrent of brimstone, sets it afire. Psalm 11.6 spoke of fire and brimstone on the wicked, Ezk. 38.22 used this language to speak of national judgment on Gog, a pagan nation opposed to God's people in the restoration after Babylonian captivity. In Rev. 14.9-11, John used fire and brimstone of national judgment on the empire attempting to eradicate the Messiah's people. Scripture uses this language only of national judgment. It shall not be quenched night or day; Its smoke shall go up forever; From generation to generation it shall be desolate; None shall pass through it forever and ever. Isaiah used this language of national judgment on Edom in Isa. 34.10, quoted above. And take again some of them and throw them into the fire, and burn them in the fire, from it a fire will spread to all the house of Israel...Thus says the Lord God, This is Jerusalem; I have set her at the center of the nations, with lands around her. Thus, this expression is used consistently of national destruction. Your mother was like a vine in your vineyard, Planted by the waters; It was fruitful and full of branches Because of abundant waters. And it had strong branches fit for scepters of rulers, And its height was raised above the clouds So that it was seen in its height with the mass of its branches. But it was plucked up in fury; It was cast down to the ground; And the east wind dried up its fruit. Its strong branch was torn off So that it withered; The fire consumed it. And now it is planted in the wilderness, In a dry and thirsty land. And fire has gone out from its branch; It has consumed its shoots and fruit, So that there is not in it a strong branch, A scepter to rule. This is a lamentation, and has become a lamentation. In Mic. 1.2-7, God said he would melt Israel and Judah. In Ps. 75.3, the Psalmist used this language of the destruction of God's enemies in the Old Testament. Peter may well have used this language of the destruction of Jerusalem in II Pet. 3.10-12. (See Appendix 1, “II Peter 3: Destruction of Universe or Jerusalem?” for a full discussion of this chapter.) Like all the other expressions, melt portrays national destruction. This section shows that none of the language we usually associate with hell is so associated in the Bible, and most of that language was used of strictly national judgments. Is Hell Even a Proper Translation for Gehenna? Having seen the concept involved in Jesus' use of Gehenna, that it was an unstoppable fiery punishment on his generation in his generation, we now ask whether hell is even a proper translation for Gehenna. Does our English word “hell” fit the concept of Gehenna we find in the teaching of Jesus? Did Gehenna Even Need Translating? As we have seen, Gehenna was the proper name for a location just outside Jerusalem. Why did it even need translating at all? We don't translate other proper names, such as Gethsemane, Calvary, or Bethlehem, all in the vicinity of Jerusalem. People living far away from Jerusalem, say in Ephesus or Rome, might not have known what these names referred to, but residents of the environs of Jerusalem certainly did, and didn't need the word translated. When interpreting the Bible, or any other writing, for that matter, one of the fundamental rules is that we take a passage in its most literal sense unless something in the context forces us to interpret it otherwise. Thus, we should take any expression as literal, or at face value, unless the evident meaning forbids it. By evidently forbidden, we mean there's evidence that forbids the idea that it should be taken literally. By evidence, we don't mean, “I just hope it's taken figuratively, or I can't figure out what this means; so therefore, it must be figurative.” That's not evidence. By evidence, we mean things like the correct definition of a word or something in the context or other verses that demonstrate that it is not to be taken literally. Applying this rule to the present case, we ask, “Is there evidence that forces us to think that Gehenna is anything other than the valley just outside Jerusalem? What is the evidence that Jesus' language cannot mean that?” In the absence of such evidence, Jesus simply warned the Jews in the region of Jerusalem, that unless they repented, their city was imminently to be destroyed. A second rule for the interpretation of potentially figurative (non-literal) language is that expressions are figurative when the literal meaning would involve an impossibility. Applying this rule to the present case (the interpretation of Gehenna), we ask, “Does interpreting Gehenna literally involve us in an impossibility? Does interpreting `Jesus as warning the Jews in the region of Jerusalem that unless they repented, their city was to be imminently destroyed' involve an impossibility?” Of course not, because historically, that is exactly what happened. A third rule is that a passage isn't literal if the literal view places it in conflict with another. Applying this rule to the present case, we ask, “Does interpreting Gehenna literally place these passages in conflict with any others?” Again, the answer is, obviously not, since Old Testament prophets foretold of Jerusalem's destruction (including John the Baptist, and Jesus himself). Why didn't translators obey these rules when interpreting Jesus' teaching on Gehenna? Is there anything in the context that forced them to think that Gehenna doesn't mean exactly what it says, i.e., a physical, literal location just outside Jerusalem? Of course, people who lived far away from Jerusalem probably wouldn't have known what Gehenna was, any more than people outside New York City may not know about Fishkills (the proper name of their municipal dump). But no one outside the region of Jerusalem was threatened by the destruction of Jerusalem. No one in Ephesus or Rome was ever threatened with the prospect of Gehenna if he didn't repent. No Gentile was ever threatened with the prospect of Gehenna if he didn't repent. We are not threatened with the prospect of Gehenna if we don't repent. What Is the Origin of the English Word “Hell”? Britannica's lexicographer (whose job is to define words as they are now used) correctly defined hell as it's used now as the place of punishment after death. However, notice that the word historically meant “a cover.” Our word “helmet” comes from the same origin, as it covers the head. Scholars tell us this word was used in the middle ages of a farmer, who would “hell” or “cover” his potatoes to preserve them during the winter. Webster agrees that the Old English origin of the word means “cover.” This word had nothing to do with a place of punishment or eternal torment. Those connotations came much later, just in time, we might say, to be corrupted by Roman Catholicism into its present form. To translate “Gehenna” (which didn't contain any meaning of eternal torment or punishment), with the word “hell” (which also didn't contain any meaning of eternal torment or punishment) isn't a translation at all, but a substitution of a man-made doctrine into a word convenient to be corrupted. This would be like the proper noun “Palo Duro Canyon,” a familiar feature in the Texas Panhandle near the author's residence. People living far away probably have never heard of it. If someone translated the words “Palo Duro Canyon” with a completely unrelated word, and then said that new word meant “eternal torment,” it wouldn't make sense, would it? That is exactly what happened with the proper noun Gehenna, a location familiar with inhabitants of Jerusalem. But to then suggest that the word Gehenna should be translated by the word “hell,” a word that has none of the meaning of the word Gehenna, compounds the problem. “Hell” is not a translation of Gehenna, any more than New York is a translation of Jerusalem. The word “translated” Easter is Pascha, the standard word for Passover throughout the New Testament. The translators of the King James Version, all members of the Church of England, essentially the English version of the Roman Catholic Church, knew the word “Easter” didn't mean Passover, and didn't have any relation to the Passover. Rather than translate Pascha as Passover, they just jammed Easter into its place. The same thing happened when the translators jammed the word hell into the place of Gehenna. Hell is no more related to Gehenna than Easter is to Pascha. False theories of eternal punishment of the wicked have done unfathomable damage in the religious realm. Untold millions of people have obeyed God purely out of fear of a false concept of hell. Other untold millions have turned their backs on God because of a false sense of hell, as described by Roman Catholic sources, and their followers in most denominations. This study shows that when John the Baptist and Jesus used these terms, they used language familiar to the Jews whom they taught. The Jews had heard this language no other way than in scenes of national judgment. While it is easy for us to read these passages from the point of view of enduring conscious punishment, we should read them as the Jews who heard them first. Rather than our present day beliefs about hell coming from the Bible, the caller to the radio program was right. Our beliefs come from Roman Catholic theologians. As a result of an earlier version of this material, many have asked the author to deal with the final destiny of the wicked. While we are not prepared to deal with that larger subject at present, we can see, if our conclusions are correct thus far, that the subject of the final destiny of the wicked was never part of Jesus' teaching on Gehenna or hell. That connection was given to us courtesy of Roman Catholicism, just like it gave us purgatory, the sale of indulgences, Limbo Patrum, Limbo Infantrum, etc. This chapter is available at the website: gospelthemes.com. The material must remain intact and unmodified from the form supplied here, including header and footer and their graphics, copyright notice, the URL and postal addresses. You may not charge for this material. If you have any questions about using this material, please contact the publisher at gtp@gospelthemes.com. All Old Testament scripture quotations are taken from The New American Standard Bible, © 1960-1977 by the Lockman Foundation. Used by permission. All New Testament scripture quotations are taken from The American Standard Version New Testament, © 1901, 1929 Thomas Nelson and Sons. All rights reserved. Chapter 11, "Jesus' Teaching on Hell," comes from the book The Teaching of Jesus: From Mount Sinai to Gehenna: A Faithful Rabbi Urgently Warns Rebellious Israel by Samuel G. Dawson © 2004 by Samuel G. Dawson and Patsy Rae Dawson. Used by permission of publisher. Copyright © 2004 Gospel Themes Press, 2028 South Austin Suite 906, Amarillo, TX 79109-1960, USA. All rights reserved.